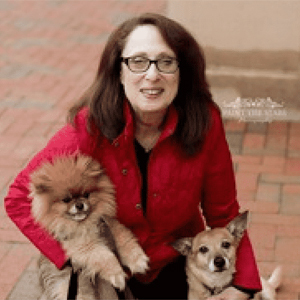 “Being a responsible pet parent begins with embracing your pet as an individual"
Debby is the Founder of Generation Wags, a program of ReLove Animals, Inc. Generation Wags is an organization that she created as the outgrowth of a personal passion. That journey continues to expand to unfold and unravel the diverse issues contributing to pet homelessness and other pet related topics in our society today. Debby is a firm believer that “you can’t fix what you don’t know” so her journey began with her learning about the issues surrounding pet homelessness, in order to share these challenges and opportunities with others. Debby’s quest to “connect the dots” and put together the pieces of the puzzle for herself, inspired her to do the same for others. Q: How did you get into the animal rescue world? Q: How can someone be the best pet parent they can be? Q: Do you have any advice for someone who wants to get involved in animal education or animal rescue? Q: How do you bring awareness about homeless pets? Q:Why should I microchip and tag my pet when I closely monitor them?